What is the purpose of scaffold systems? Scaffold systems are used by many different types of industrial workers for a variety of different project types. They can be used for painting projects, construction projects, roof repairs, and many other types of industrial work. 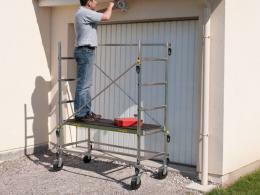 When you are purchasing a scaffold system, it is important to go with a high-quality option that you can depend on. When you are working on a scaffold system you may find yourself quite high off the ground, and a fall caused by unstable or poor equipment could cause serious injuries. At The Workplace Depot, we offer reliable, well-crafted and safe scaffold systems for both business and home use. This product is most often used in industrial spaces, such as construction zones and warehouses. It is also used often for outdoor projects, such as roof repairs and paint jobs. It can be used in home environments as well. 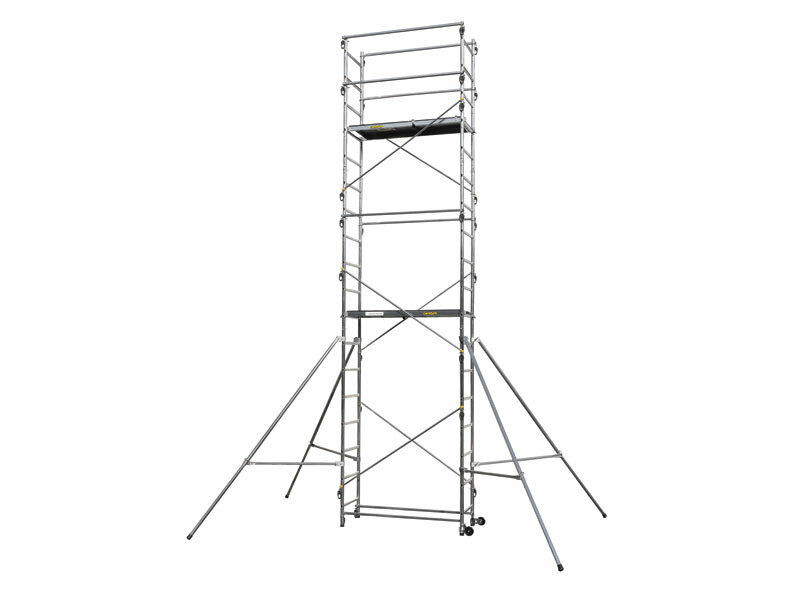 This product is primarily used by workers in industrial settings, but it can be used by anyone who needs a reliable scaffolding system that is steady and safe. If you are someone who loves to work on do-it-yourself projects at home, this could be a great product for you. The scaffold systems that we offer are made from tough aluminium. The platform is made of quality timber and measures 1300 x 460mm. The platform has a trap door and a non-slip surface for stability. This product is manufactured with industry safety standards in mind. 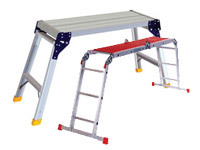 It is designed to hold one worker and has a weight limit of 150kg. This item is lightweight and has two wheels, making it easy to manoeuvre. 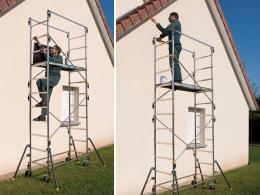 If you are looking for a great basic scaffolding system to use in a variety of projects, this could be just the item that you need.